The first E-Newsletter of 2019! Check out the new look! 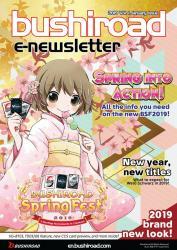 In this month's issue, we feature Bushiroad Spring Fest 2019, Weiẞ Schwarz new titles, and a brand new column Bushiroad Staff Pick of the Month!